Beautiful Boundary Bay! Brand new, 2650 sq. 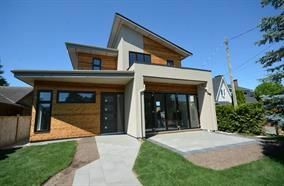 ft. modern luxury home built by a quality local builder! 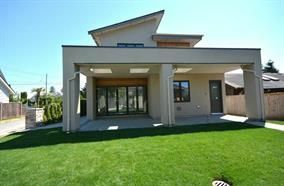 Only 2 blocks from Centennial Beach! The best swimming beach in the Lower Mainland! The home features a great room concept with an open airy layout, 9 ft ceilings, two large feature "Nana walls" (folding glass wall system), which beautifully extends the living space during summer days to the large stones, front and back patios, giving you an infinite seamless feel that the room just carries on from the inside to the outside! 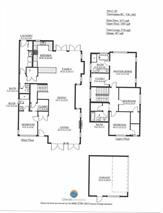 the home features 4 bdrms (1 on main w/ensuite & 3 on upper level). The master bdrm (up) includes 10 ft vaulted ceilings & spa-like 5 pce ensuite! Gourmet kitchen, separate garage w/ car charger!